Singer Koh Nishino joins Japan earthquake charity project “Metal bless JAPAN”. This project was promoted by Toshinori kamiya (vo/ARGUMENT SOUL), and many Japanese heavy metal/hard rock artists who agreed to the aim gathered. 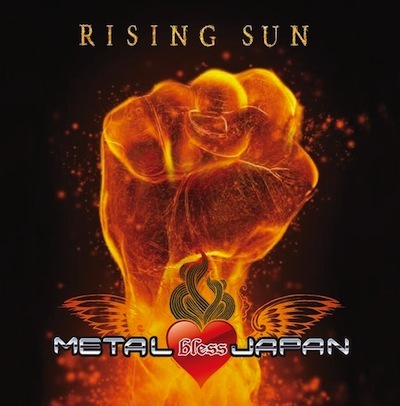 This project’s album “RISING SUN” will release on August 26th from Black-listed Records. The profit obtained by sales will contributed to Civic Force (Disaster Relief Agency).